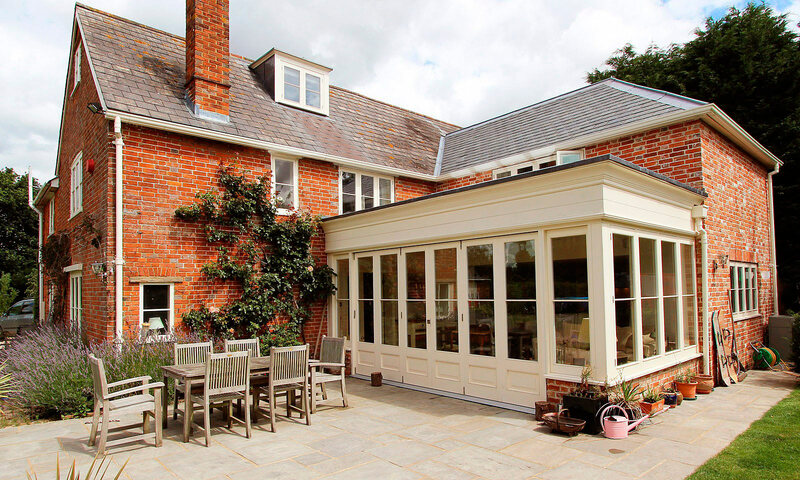 Our customer asked Mounts Hill Woodcraft to design and build an orangery style extension to their Edwardian villa to extend the kitchen and create a dining area. 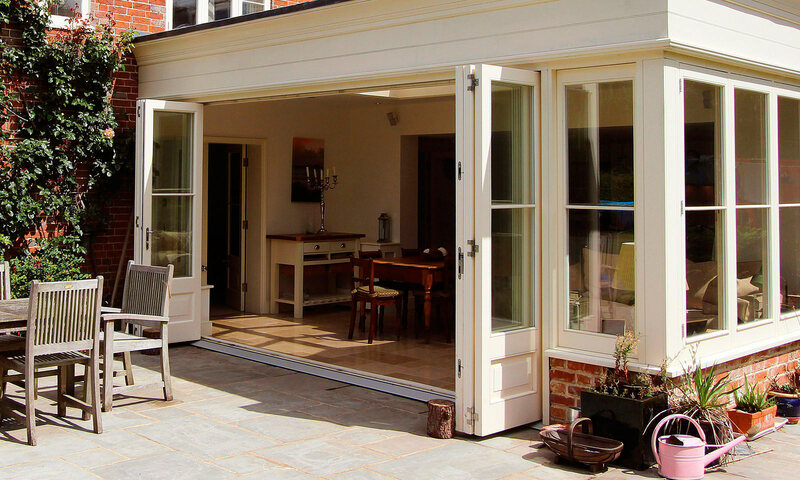 The classic design of the full length windows was chosen reflect those in the original part of the house and the large bi-fold doors allow easy access to the patio area and garden. The traditionally styled roof lantern brings in light to this lovely family space.